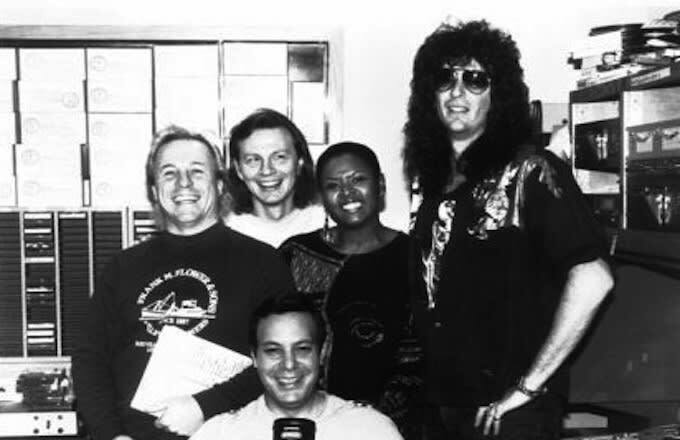 Who knows if The Howard Stern Show would today be what it was without the influence of the show’s longest-serving staff member, Fred Norris. Norris has worked as a presenter and writer on the show ever since he and the show’s host, Howard Stern, moved to New York City together to begin working on the show. Read on to find out more about his early beginnings, family, career, and other facts. Fred Norris was born Fred Leo Nukis, the second of two sons to Latvian immigrant parents; Valija and Henry Nukis, on the 9th of July 1955, in Willimantic, Connecticut. Norris had a very torrid childhood filled with rage from his alcoholic father. At around the age of 5, Henry Nukis abandoned the family but that did not stop his younger son from facing abuse as his older brother, Robert, was either neglecting him or using him as a punching bag. To escape from the horror, Norris found solace in either watching TV, reading books, or taking long bicycle rides. At around the age of 15, his mother married a cabinet maker named Lewis Norris. Under the guidance of his new stepfather, Norris began to flourish as he began to get involved in extra-curricular activities such as taking guitar classes. It is not clear what high school Fred Norris attended, however, for his college education, he enrolled at Western Connecticut State University. It was during this time that Norris began exploring on the radio as he took overnight shifts at WCCC radio station, a place he first met Howard Stern. From 1979 to 1981, Norris worked with the Hartford, Connecticut-based station before leaving to join WAQY-FM in Springfield, Massachusetts. His stay at WAQY-FM was very short as just a few months later, Stern, who had built a huge following and was basically calling the shots at WWDC in Washington, D.C., used his position and success to leverage the station to hire his former colleague to work as a producer on his show. This began the long-lasting working relationship between the pair as just a year after Norris joined Stern in D.C., the two moved to New York to work at WNBC, the station where they have been ever since. Fred Norris is married to Allison Furman. The couple, who met through the “Dial-A-Date” segment of The Howard Stern Show, exchanged vows on the 10th of July, 1994. According to the IMDB website, Mrs. Norris is an actress who has appeared in films like Requiem for a Dream (2000), Private Parts (1997), and Happiness (1998). Together, the couple has one child, a daughter named Tess Norris. When Fred Norris originally began his career in radio, he used his first name and stepfather’s surname, which he had begun to be known by. However, it was not until 1991 that he decided to make it official and legally change his name from Fred Leo Nukis to Eric Fred Norris. Norris later explained that his motivation to do so was to do away with anything that reminded him about his very unkind biological father. He further revealed that his middle name, Leo, was given to him by his godmother who later eloped with his dad. Fred Norris is mostly known for his career as a radio presenter on The Howard Stern Show, however, the Connecticut native is also an actor. He has appeared in a number of small roles in movies and television series, most notably, Private Parts (1997) where he played the younger version of himself and Cruel Intentions (1999) where he played a meter maid. In 2013, Norris played the role of a head shop owner in an episode of Law & Order: Special Victims Unit. The light browned haired, blue eye radio presenter is 6 feet 2½ inches (1.89 m) tall and weighs 80 kg (176 pounds). Read Also: Who is Billy Bush (Radio Host), The Wife, Net Worth, What is He Doing Now? According to the Celebrity Net Worth website, Fred Norris earns an average annual salary of $6 million. It also further reports that the radio presenter has an estimated net worth of around $16 million. Norris has been able to amass such an income through his various professions as an actor, screenwriter, and disc jockey.